HomeBlogAre the Padshahs in our Fire Temples mere “Fire”? 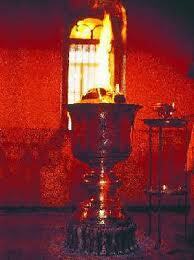 Are the Padshahs in our Fire Temples mere “Fire”? Roj Avan, Mah Adar, 1377 Yz. Recently, it has come to my notice that certain “enlightened” and “concerned” members of our community who live abroad have suggested that the “pollution” created by the Sacred Fires burning in our various Agiaries and Atash Behrams increases the “carbon footprint”. These have asked whether we can explore the use of “alternative means” (whatever that might mean). This is an amazing debate – amazing because the parties involved have no idea of what they are speaking about, either doctrinally or scientifically! Going by their logic, Hindus should stop cremating their dead bodies, Muslims and Christians should stop burying their dead, Muslims should stop slaughtering sheep and the list could go on and on. These dim witted people have no idea of the Divine Status of a consecrated Padshah Saheb in Nature – are we talking here of any fire lit through normal means and fed routine logs? NO. What is the difference between a fire and a Consecrated Atash Padshah? The physical status of a normal fire is raised and exalted through the intricate ceremonies performed by numerous priests which extend for months together – the idea – to raise the Divine Spark which exists within every fire and to connect that spark to the Divine Atash energies (16 in all) which are manifest at different parts of the Cosmos. Once this Divine Connection is established, the consecrated Fire has the ability – through this Divine Connection – to pull towards it the bountiful blessings from all the regions of the Cosmos where the Divine Fire Energies are situated. These bountiful blessings (variously called Asere Roshni, Fasal, Asha Chithra, Veh Chithra depending on their potency and point of origin) are stored in the Nucleus of the Padshah Saheb. 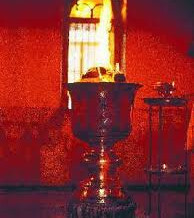 When a devotee goes before the Padshah Saheb and applies the Sacred Ash to his forehead, a part of these Divine Blessings are attracted through the Sacred Ash and enter his body through the Chakhra situated there as well as through the agency of the Sudreh and Kusti and the Avesta vibrations created by the devotee’s prayers. But these Divine Energies are not merely for Zarathushtrians. The Sphere of Influence of the Padshah Saheb extends for several miles around its physical walls and these blessings are distributed to ALL who fall under that area. This is the true Universalism of the Zarathushtrian Religion. (This does not mean that any one can enter the consecrated Fire Temple complex – in fact there is no need for them to do as the blessings are given out by the Padshah to all) – not converting others to the faith by betraying their own Prophet. Such an established Padshah is a unique Divine, Living, throbbing Entity, which although immensely powerful, is also extremely fragile. Hence the various rules relating and regulating the entry of Parsis and Priests to different areas around the Padshah. The link between the Padshah and the 16 Fire Energies is very difficult to maintain and comes under attack 5 times a day, when the Earth’s rotation and revolution goes through a slight tremor. This is the time when the properly qualified and prepared Priest enters the Sanctum of the Padshah and performs the Boi ceremony. The combination of the Boi ceremony – the Avesta Manthras, the Yasna (kinetics) performed by the Athravan, (specially moving around the Padshah in a particular manner and touching the edge of the Afarganyu at nine different points), the tolling of the bell and the offering of specially cut and prepared logs of sandalwood (Machi) along with minute pieces of sandal strips and incense globules all work towards re-establishing the connection between the Fire and the 16 Atash Energies. The Divine Blessings collected and distributed by the Padshah at this time over these 1300 years that Fire Temples have been in existence in India IS THE SOLE REASON for the existence of our community. WE WOULD HAVE VANISHED LONG AGO BUT FOR THE PADSHAH SAHEBS! Those who have started this debate have really no idea of the kind of harm their mere thoughts in this direction would cause to the community. Whatever little “pollution” which is caused by the burning of the Sacred Fires is more than thousands of times repaid by the distribution of the Divine Blessings. Those who are so environmentally conscious as to suggest the use of “alternative methods” should perhaps try to reduce their own personal carbon footprints – by COMPLETELY GIVING UP THE USE OF ANY PETRO PRODUCTS. Stop driving your cars, using gas for cooking, any electricity produced through coal fired plants, using any plastic materials, flushing down thousands of gallons of pure water down toilets to mix your refuse in the sea and so on and so forth. Only then they should dare to venture in this territory. First put your own shabby house in order, then try and tell the community to tinker with its most precious asset. Shame on such people who assume they are more enlightened and knowledgeable then Pak Dadar Ahura Mazda himself. They are truly unworthy of being born Zarathushtrian. Grateful for this wonderful and enlightening article. I was also a recipient of that e-mail which professed alternate to our Sacred and Revered Atash Padshah Sahebs. I did strongly retort to the originator, but had I come across this knowledgeable article by your good self, I would not have spared the pains to enlighten him with true knowledge. Our community lacks leaders who would take upon themselves to guide these strayed individuals and educate them on the path of righteousness. Thank you very much for sharing this information and May Ustad Saheb Behramshah Shroff and our Prophet Zarathushtra shower Their Blessings on you and yours and give you the strength and wisdom to carry on the task you have so rightly chosen to acomplish. It was so enlightening to read about our Divine Padhshah Saheb! We really need to be educated about our religion. Would Ervad Marzban J. HAthiram be conducting any religious classes or giving lectures about our religion which we can attend? there is a vibration in each word of chants & it increases memory power of listeners.I am sure my other hamdins also have felt this..
Er. sahib as given above in your mention of the spiritual boundary, what is the measure, in quantitative value, of this sphere of influence from the physical boundary wall? Please enter your email address to subscribe to Frashogard and receive notifications of new posts by email.